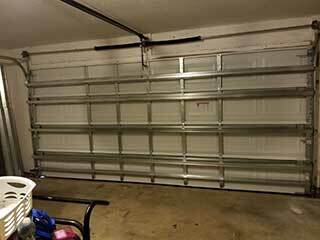 The springs your garage door system uses to move its panels up and down safely are under a lot of stress, day in and day out. When these components break, they can pose a serious risk to anyone standing nearby, and even simply adjusting their tension can be a dangerous task to an amateur. You can always rely on our technicians when you need something like this done. By having an expert regularly service these components you'll be able to both prevent a lot of potential accidents and avoid all sorts of unnecessary future repairs. Our spring adjustment and lubrication services make sure the tension these components are under doesn't get too low or too high, and that their performance remains smooth and efficient. Aside from the two different types – torsion and extension – there are some additional variations that can offer your springs some added benefits. Galvanized springs are coated with a special layer of zinc, which protects them from moisture and helps them resist rust. Oil tempered torsion springs go through a heating and cooling process, during which they are applied with oil that protects them and helps them become flexible and stronger than their average counterparts. Although springs may not look like much at a glance, they are loaded with an incredible amount of tension, and mishandling them can have some catastrophic results. A broken spring must therefore never be handled by amateurs, and even trying to use your door before the damaged component has been dealt with can be incredibly dangerous. Our team at Garage Door Repair Puyallup can take care of any spring-related task you need, and we will be more than happy to help you when something goes wrong with these crucial components. Call us today for more information.